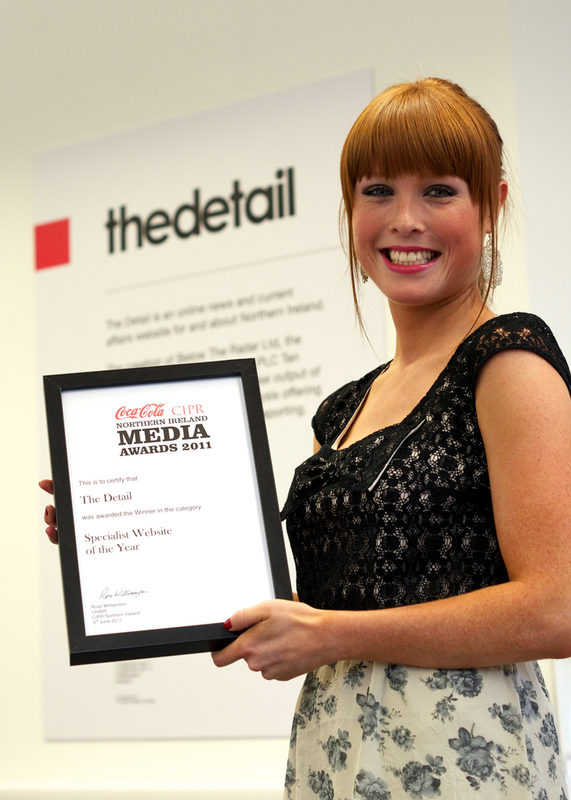 Caroline McIlwain, reporter with “The Detail” – the investigative news website run by Below the Radar – with the certificate awarded to the team by at the Northern Ireland CIPR awards. “The Detail” was pronounced Specialist Website of the year at the awards ceremony in Belfast’s Europa Hotel, less than three months into the project’s existence. In their citation, the judges said the site was sure to attract those working in papers and broadcasters to see what might make a story for them.